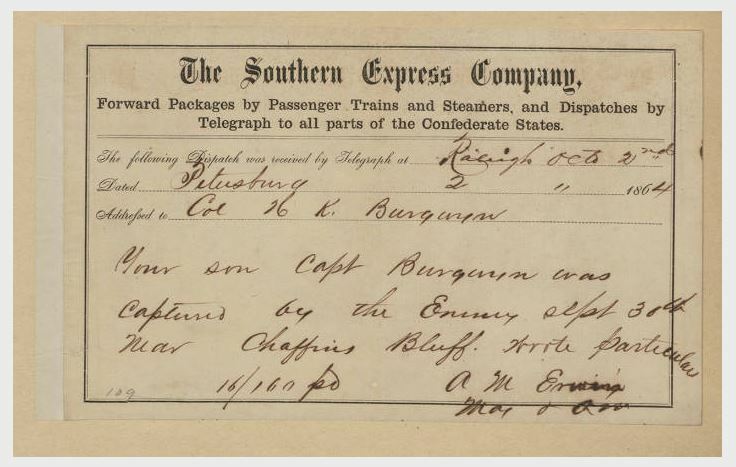 We are glad to learn that Gen Baker is performing a most humane act in sending relief to the Confederate suffers, by Yellow Fever, at Newbern or vicinity. Having learned that many of our people, within the Yankee lines, were suffering from this fell disease and that they were without medical attention or care of any sort, Gen. Baker asked and obtained permission, from the Secretary of War, to send down such medical aid and other means of relief and succor as he could obtain, and as the enemy would allow him to furnish. Under this arrangement we learn that Dr OA White of the Medical Examining Board, at this post has volunteered his services for the arduous but humane duty, and will be send down to Newbern, perhaps with others, under flag of truce as soon as arrangements to that end can be completed. We learn from a subsequent number of the Journal that the yankee authorities at Newbern refused permission to send aid.